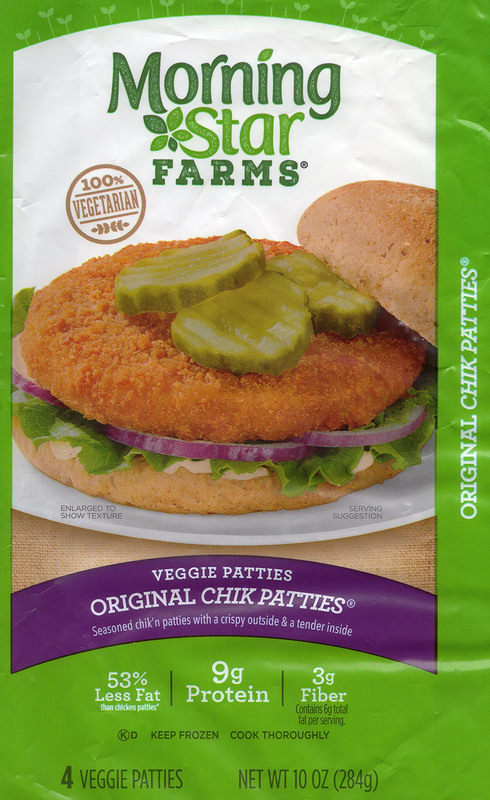 Are MorningStar Farms Buffalo Chik Patties good? Yes! 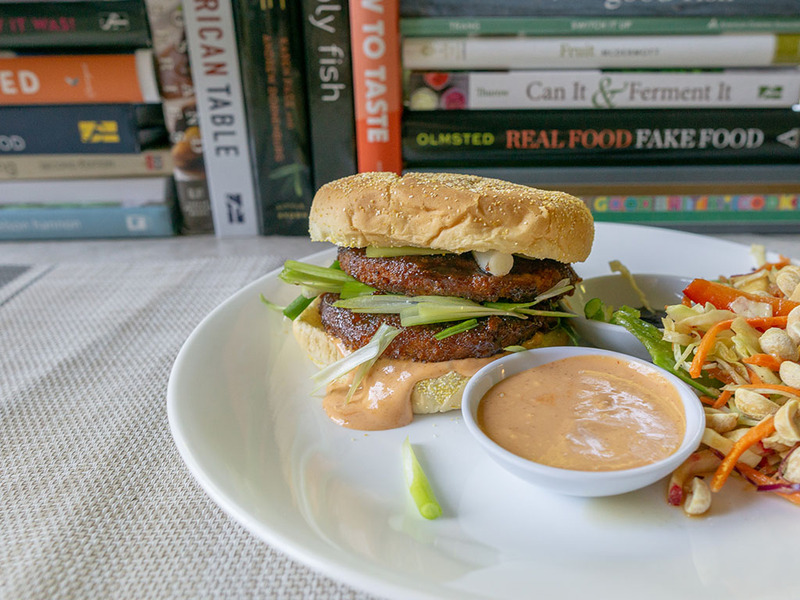 We’re a big fan of these meat free chicken burgers. The buffalo seasoning on these patties is mild, which makes them a fairly versatile – and healthy – meat free substitute. 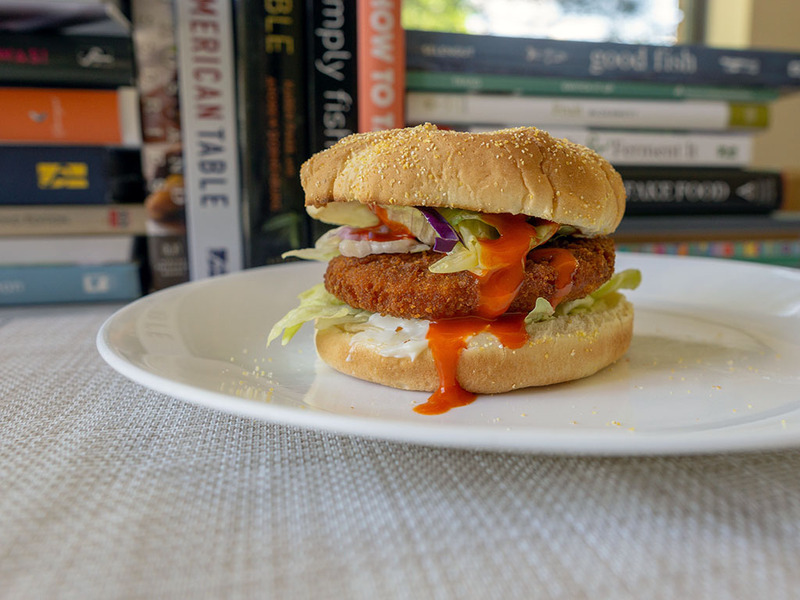 While veggie burgers are currently the in vogue meat-free product – who doesn’t love a good vegi-chicken burger from to time? Heck for me personally, it’s not even time to time, I love them as a staple of my weekly menu. Whether to make a quick lunch or as something more complex (slice them diagonally for a meat free Tonkotsu for example). I find them a little more versatile than the typical veggie burger as a result. MorningStar Farms has a few options in their lineup and these Buffalo Chik Patties add a little zip and zing to their patty. In truth the flavor profile of the Buffalo seasoning is mild – at least to my tastes. You can quite easily disguise it or amplify it (see recipe ideas below) as you choose. Texture wise, these are remarkably similar to a fast food / junk food chicken burger; I’d put money on being able to sneak these past meat eaters with the right mix of toppings. And of course they’re far more healthy than their meaty counterparts. I’m a big fan of these Buffalo Chick Patties and always have some on hand. Inside the plastic packaging, you’ll find four 2.5oz patties. If you open the packet correctly, it can be sealed up again to prevent freezer burn. While the packet recommends oven baking, I’ve only ever microwaved these patties. I think that stands testament to how well they fare cooked up in this manner. I’d expect the oven method yields a crunchier exterior, but these are fine for me with just a minute or two in the microwave. Here are two burgers I recently made with these Buffalo Chik Patties. First up a basic Buffalo chicken burger using Sweet Baby Ray’s wing sauce, some pickles and a little crisp Iceberg lettuce. This on is far more experimental! I called this a Hoisin burger. 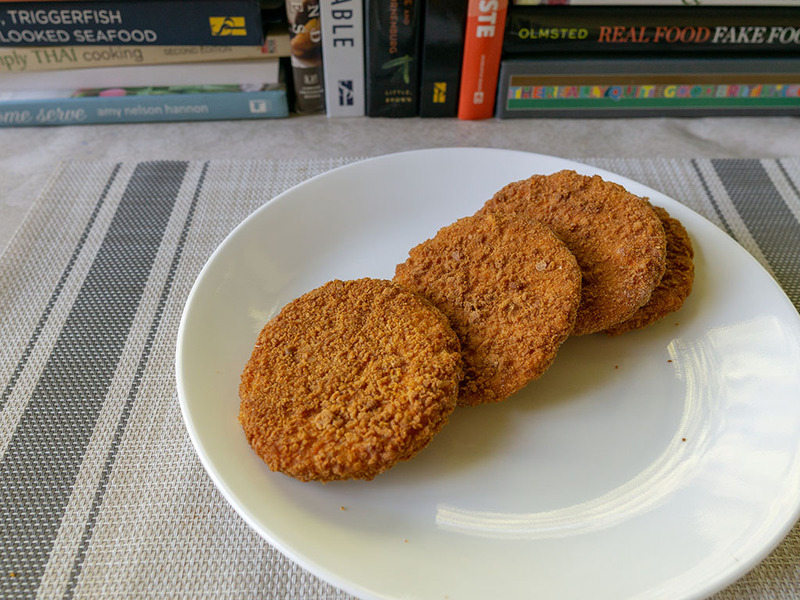 First up I microwaved the patties until cooked, whereupon I finished them in the frying pan with a couple tablespoons of hoisin sauce – cooking them just long enough to coat and crisp. I then loaded them up with homemade Sriracha mayo, green onions and a side of Asian salad. This one is definitely a keeper! 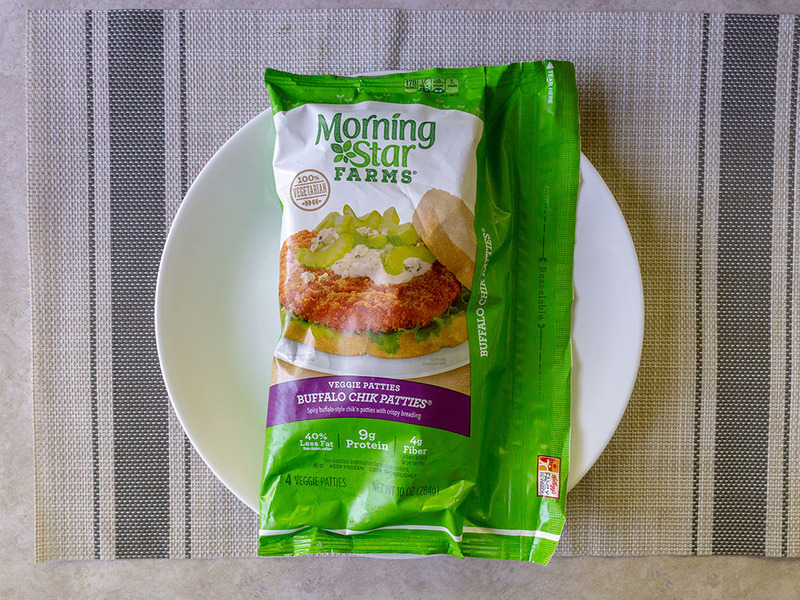 MorningStar Farms Buffalo Chik Patties – what’s a fair price? I’ve found these at Walmart in the freezer aisle for $3.67. That’s for the four pack which comes to less than a buck per patty which is a great deal in my opinion.